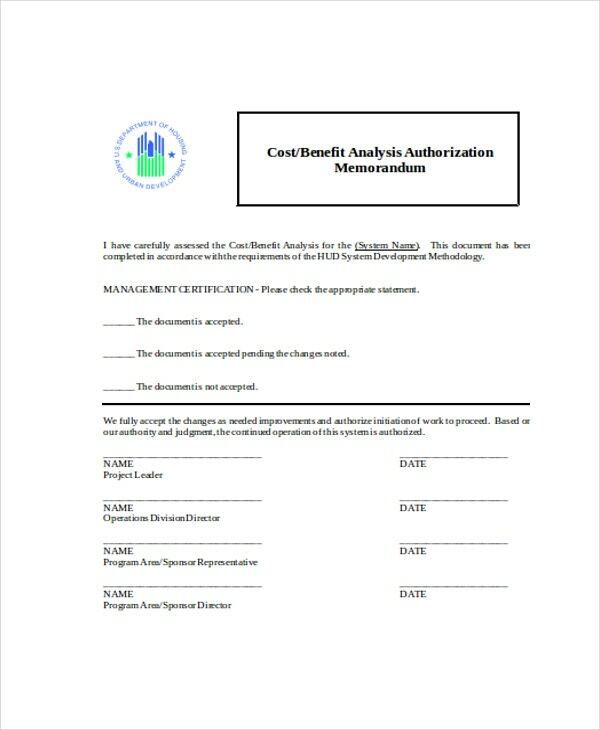 The best way to determine the strengths and weaknesses of functional requirements for a business is to use a technique known as the cost benefit analysis template. The technique can help you to determine what options or processes are more profitable in the terms of returns. 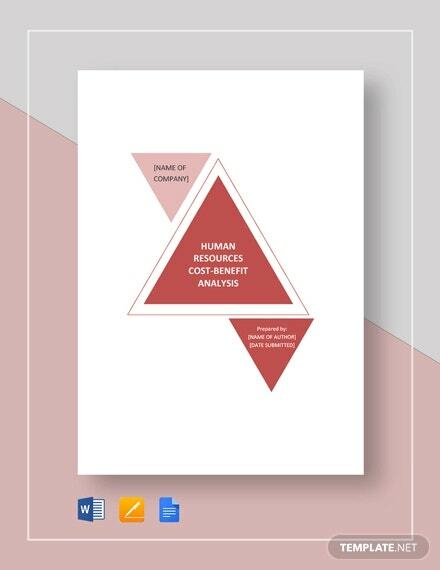 The cost benefit analysis provides you business with the best approaches to help you to calculate and compare the value and benefits of a project. For example, if you have a small team, but the amount of workload continues to increase over time, then you can use the CBA to determine whether the benefits of hiring a new team outweigh the benefits of the associated costs. You may also see Swot Analysis Templates. This template can help you outline actual and alternative policies. You can compare the cost of each policy and deduce by how much the benefits outweigh the costs of investments. The template is easy to use. You may also see Root Cause Analysis Templates. 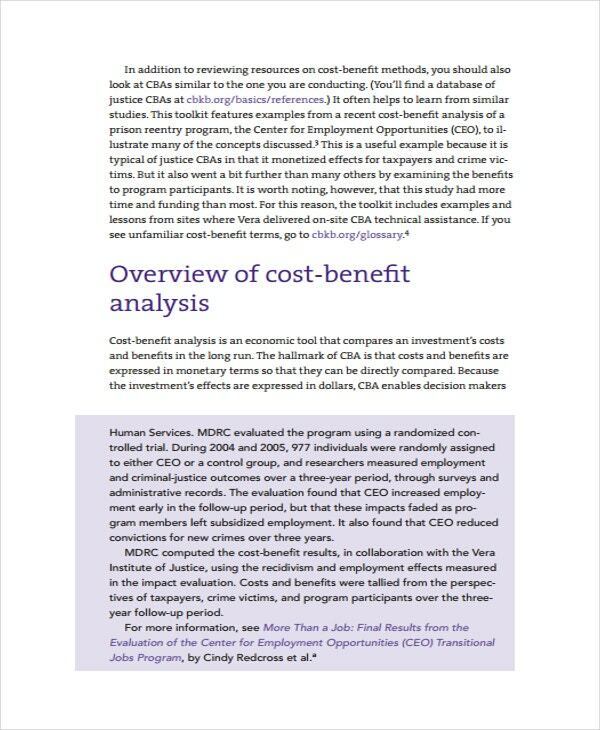 Cost benefit analysis is not something you can plan off the top of your head. You need this template to help you evaluate policies and processes systematically until you arrive at carefully accurate specifics. This template can help you outline actual and alternative policies. You can compare the cost of each policy and deduce by how much the benefits outweigh the costs of investments. The template is easy to use. The only way to know the value of a policy is to conduct a cost benefit analysis. 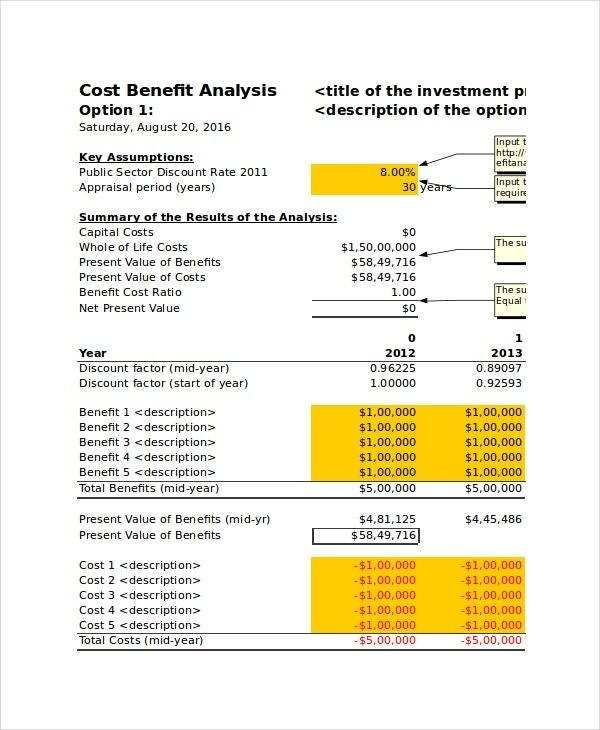 By using the cost benefit analysis template, you will be able to determine if a strategy has the expected benefits. A cost benefit analysis will help you to rank policies and their alternative strategies in the terms of cost to benefit ratios. As such, it becomes relatively easy to identify those policies that outweigh costs and by how much. 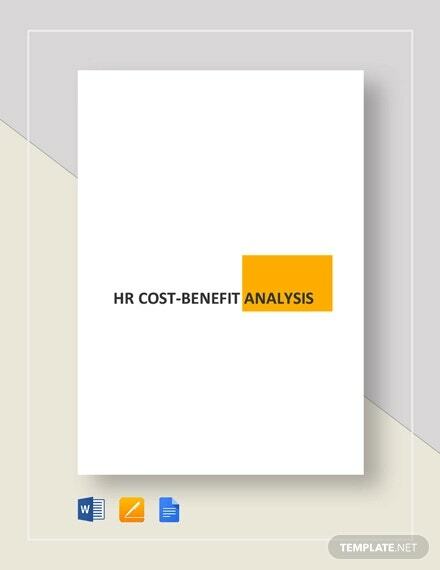 Cost Benefit Analysis, commonly known as the Benefits of Cost Analysis, is a significant business strategy that has been in use since the 80s. Jules Dupuit, a French economist, and engineer introduced it and then it became popular in the mid-1950s. You may also see Competitive Analysis Template. Jules thought that if there were a way for businesspersons to weigh the costs and benefits of policies and business methods, it would be easy to determine the effectiveness and the profitability of a project. In the end, it would be easy to determine whether it is perfect to continue with a project or to discontinue the project. 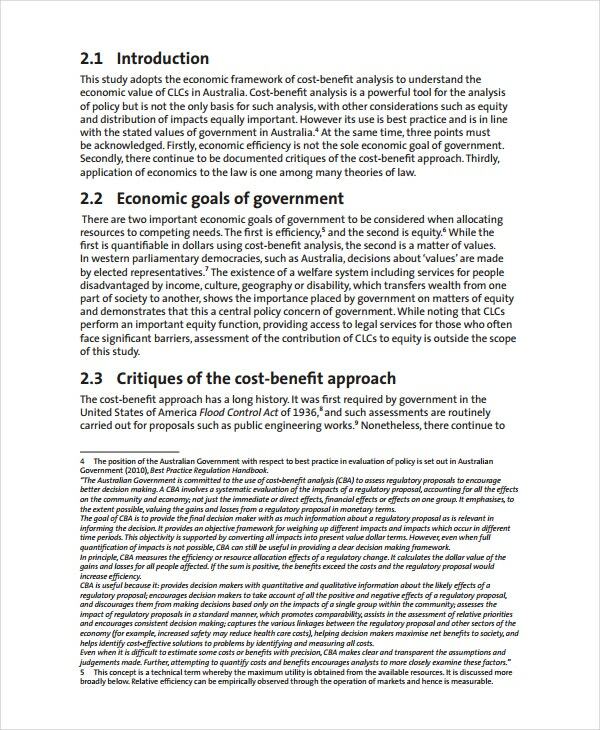 > What is Cost Benefit Analysis? We first begin by understanding the significance of money and investment. The thing is you don’t want to invest in a project, or, to be specific, a course of action and fail. You understand that if you put your money in the wrong venture, you are most likely going to fail, and, as such, you must measure the specifics and weigh their significance before making an investment decision. You may also see Sales Analysis Template. That is where CBA comes in. 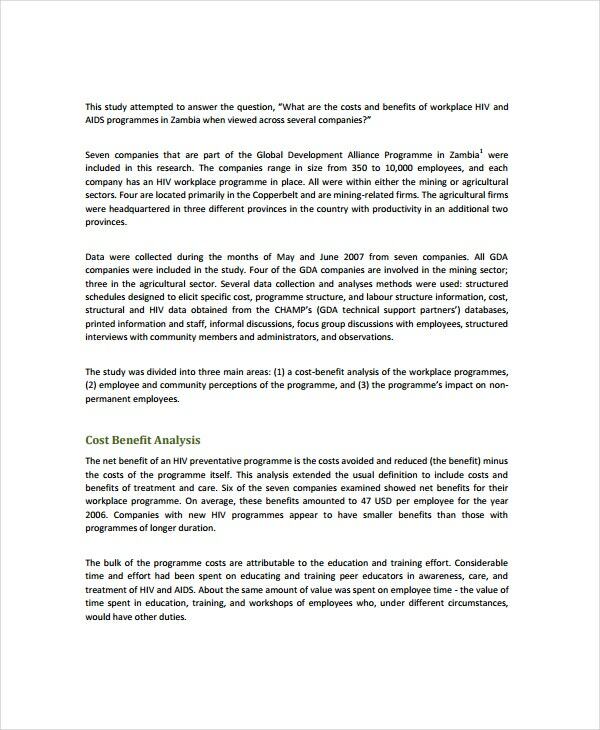 We, therefore, can conclude that Cost Benefit Analysis is a qualitative approach used to determine the value of a course of action using evaluating the benefits of the action and then comparing those benefits to the cost of the particular plan. 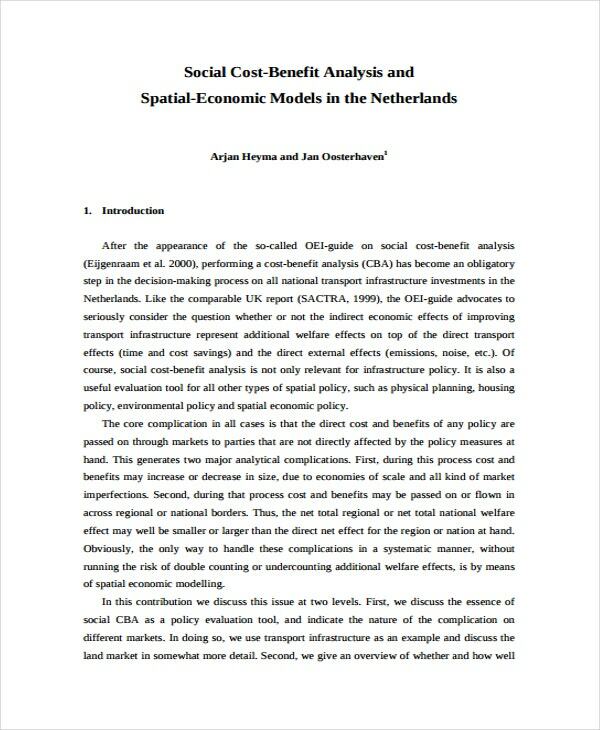 > What is the Significance of Cost Benefit Analysis? 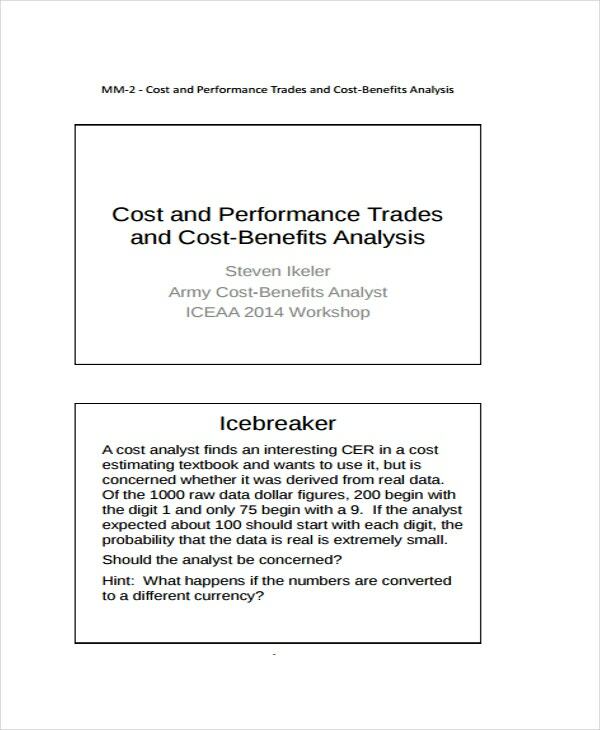 There is no particular use for cost benefit analysis. 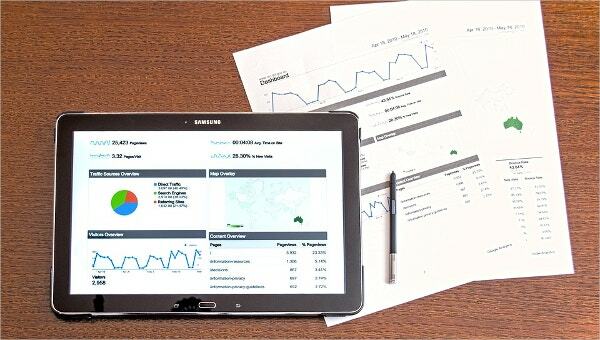 Moreover, the good thing with that is you can take the approach and use it to analyze any aspect of your business. For example, the Human Resource can use this method to decide whether to hire new employees for the company or to train only the existing ones. Further, a company can use the CBA approach to determine whether it is necessary to start a new project yet or to change the initiative. It is important, though, to understand that cost benefit analysis is only suitable for making simple and quick financial decisions. Complex decisions may demand an approach that is way too complicated than the CBA. You may also see Data Analysis Template. 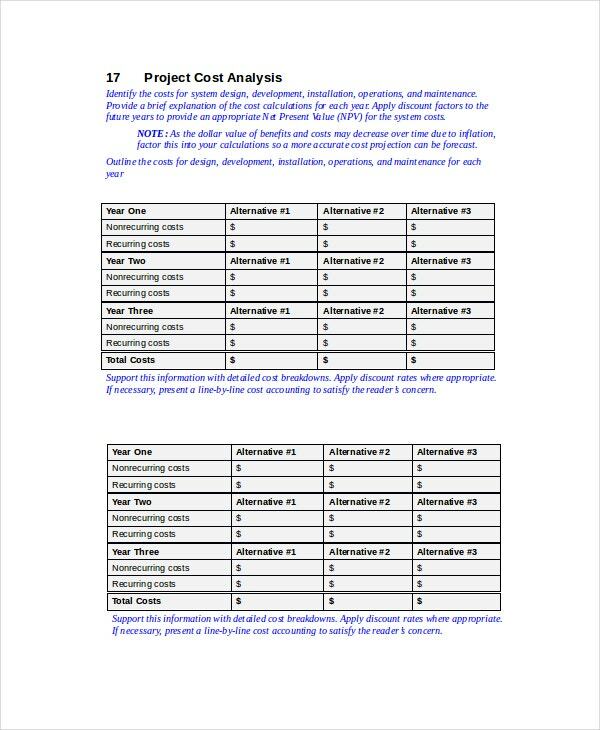 You cannot start a new project before doing a cost benefit analysis. The analysis will help you to know the efficacy of a policy before adopting that policy for your project. Moreover, CBA helps you to develop the best measures that will help to make your project successful.